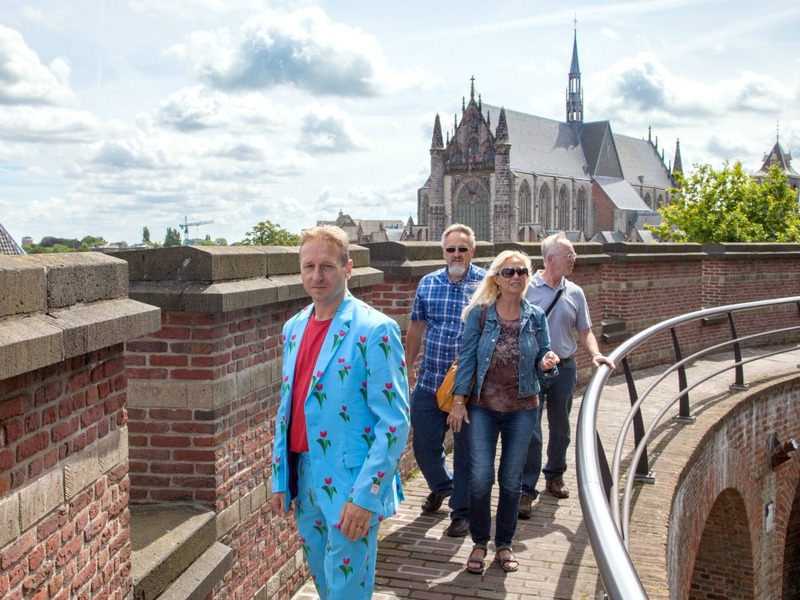 The Burcht of Leiden is a must-visit when you are in town. 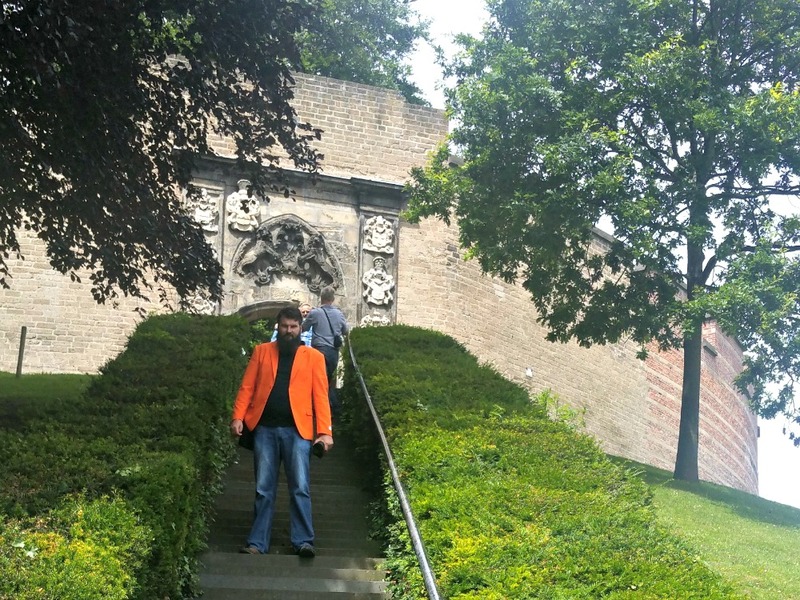 Not because it is a well decorated, large castle like De Haar. But because it is an important historic place with lots of stories. The present day structure consists of a round wall of 6 meters high and 35 meters in diameter. It stands on a 12 meter high hill in the center of the city. The burcht and the surrounding park is free to visit. But in order to appreciate your visit to the fullest, you should know more about its history. It all started in the 9th century. Farming people created an artificial hill, where they could evacuate to in case of a flood. The hill was located at the place where the old and the new Rhine come together. On the hill an earthen wall was created, with a wooden palisade on top of it. Over the years, the earthen wall was levelled up, and the hill became higher and higher. By the year 1000, it was 9 meters high, with a wooden structure on top. The city of Leiden grew on the other, south side of the river Rhine. But the Burcht remained important as a strategic stronghold. At first, a representative of the Bishop of Utrecht became landlord of the Burcht. He protected the city, and raised toll to the passing ships on the river. Later, the counts of Holland took over. And under count Dirk IV, the wooden structure was replaced by a tuff wall. The Burcht was often under attack. Especially the succession of count Dirk VII led to a war between his brother and his 15-year old daughter Ada. This socalled Loonse War in the early 13th century put a lot of damage to the burcht, where Ada was hiding. In 1275, the entire burcht was rebuilt by count Floris V, with bricks this time. In the fourteenth century, a tower was added to the Burcht. But as the city Leiden grew around it, its strategic position weakened. In the famous Spanish Siege of Leiden, the Burcht did not play an important role. But after Leidens Ontzet in 1574, the Burcht became a romantic patriotic symbol, mainly because of the earlier sieges in the history of Leiden. In 1651, the Burcht was bought by the city council of Leiden. From then on, the burcht was opened to the public. For this, an entrance gate was created in 1653, at the place where the tower was located earlier. Two more gates were added. One at the bottom of the artificial hill. And one at the entrance to the complex, forming a gateway to the rest of the city Leiden. The gates and arches are sights in itself. You can see the symbols of Leiden on them: a shield with keys, protected by lions and other creatures. On the gateway, the history of the Burcht is printed in Latin in the tuff stone. As said, the Burcht of Leiden is nog a big castle. But it is certainly worth a visit. Walk around it in the park, to admire its exterior. Then enter the gate, to see the interior. You can walk up to the ramparts, where you can see the battlements and arrow slits in the wall. And most of all, you can admire a magnificent view over the city of Leiden, as the Burcht is located on the only hill in the city. After your visit to the Burcht, it's time for a drink. And why don't you do that in another historic building, the Koetshuis? The Koetshuis is located right next to the Burcht. It was built in the year 1657. In that time, Leiden was an important producer of textile. Merchants from all over the country came to Leiden to trade. They parked their carriage (koets in Dutch) in the Koetshuis. Later, the building was transformed into a café and restaurant.